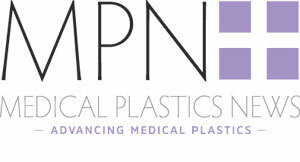 Medical Plastics News speaks to professor Andrew Shennan, a member of the Cradle Project. Professor Shennan and his colleagues developed the Microlife Cradle to help healthcare professionals in low-income countries monitor abnormalities in vital signs for pregnant women. The device is low-cost ($20) and is intended to be used in a low-resource setting. The Cradle device was recently nominated for the Plus Alliance global prize. The Plus Alliance Prize awards USD $50,000 annually to those that are changing the world for the better through innovation and leadership in innovation and education. The Plus Alliance is a unique collaboration between three leading international universities. Launched in February 2016, the Plus Alliance enables research-led solutions to global challenges while expanding access to world-class learning. How did the Cradle come to be developed? Each member of our team has had the opportunity to work in maternity care in both low-income and high-income countries, and has witnessed the staggering injustice in the diversity of clinical outcomes that occurs around the world. This was the driving force behind the Cradle project. With 99% of all maternal deaths occurring in low- and middle-income countries (LMICs) and the majority of deaths being preventable, the huge discrepancy between settings can largely be explained by poor recognition of illness and lack of timely intervention. Effective interventions are readily available but, due to poor access and training, are not instigated. Measuring vital signs is key to early recognition, allowing timely management and prevention of adverse clinical outcome. The aims of the Cradle project were to develop a device capable of accurately detecting abnormalities in vital signs (including blood pressure (BP) and heart rate (HR)) and to introduce this device to LMICs communities and hospitals. We also aimed to prospectively evaluate the device’s ability to facilitate prompt referral and intervention, with the aim of reducing mortality and morbidity. Could you tell me how the device works? The Microlife Cradle VSA can accurately measure blood pressure and heart rate and uses these values to calculate whether the women is at risk of developing shock. It incorporates a novel early warning system. The vital sign results are shown as a traffic light display, so that even those who do not recognise abnormal results are alerted to the need for action. Severe bleeding, severe infection and blood pressure disorders are the most common cause of deaths in pregnancy. All of them are directly correlated with abnormal vital signs. Therefore the warning lights are triggered by high blood pressure as well as low blood pressure and shock. The device uses an algorithm that is still accurate in non-pregnant adults. Further modifications and rigorous testing ensured the device is accurate in pregnancy including women with high blood pressure, and uniquely women with low blood pressure in pregnancy. The device has been developed specifically to meet the World Health Organisation criteria for use in a low-resource setting. It is low cost at approximately $20 per device, it has low power requirements and can be charged using a standard mobile phone charger. It is also robust, this means it stays extremely accurate even at extremes of temperature and humidity, after being dropped from a height of 20 metres and after being used more than 20,000 times at high pressures. What are some of the main pregnancy complications? Obstetric haemorrhage, pregnancy induced high blood pressure and severe infections directly cause the majority of maternal deaths worldwide. How can the device help save lives? It can identify pregnancy complications in rural settings and allow referrals. Treating these conditions is relatively cheap and easy. In which parts of the world do you see the device being the most beneficial? Everywhere, but mostly where mortality is highest, for example Low Income Settings. Could you tell me about some of the trials the Cradle has been involved in? Cradle 1,2,3 and 4 is being planned. 1 and 2 developed it in Tanzania, Zimbabwe, South Africa, Mozambique, India and Pakistan. Cradle 3 is a large 10 country trial (see cradletrial.com) to prove its use will save lives, prevent fits and hysterectomies. Could you tell me about your nomination for the Plus Alliance Prize Initiative? We have been pleased with recognition of the device - our head of department nominated us. The Microlife Cradle VSA is the cheapest and most accurate blood pressure device available to use in pregnancy. For this reason it has been has been recognised as one of the top thirty high impact innovations in global health in a recent PATH-led award to help accelerate progress towards the United Nations Sustainable Development Goals. It has also been adopted into the medical archives of the Science Museum, London. The Cradle has low-power requirements, how long does a full charge give it?